We live in the digital age of TV remotes, remote control cars and drones, remote car starters, and so much more. So why not home lighting? After all, after a long day, nobody wants to arrive home to a dark and lonesome-looking house. It’s uninviting and potentially unsafe. One look at a dark home can tell intruders that nobody is home. It can also prevent people from safely navigating in and around the property. Enter wireless lighting! Now it’s possible to control your home’s lighting with the touch of a button from your iPhone or iPad — no matter where you are. Sounds complicated, right? The technology behind it might be, but setting up and getting started doesn’t have to be. There are three main options for controlling your lighting remotely, and each involves downloading a corresponding app on your phone or tablet to adjust the lighting. 1. 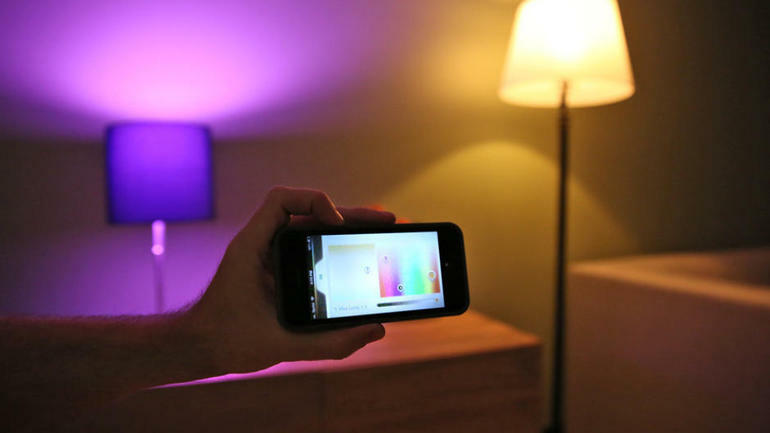 Purchase a “smart”, WiFi-connected lightbulb (like the Philips Hue or LightwaveRF Wireless Control bulb) that’s designed for home automation. 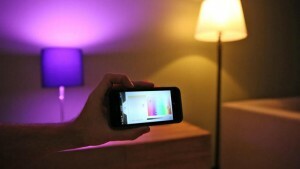 Simply plug the bulb into an existing fixture in your home, and sync it with its iOS app. These bulbs are dimmable, and some even come in colors. A single bulb can range from $15 to $30, and a starter kit with multiple bulbs costs around $80. 2. Have a licensed electrician install custom light switches for wireless control. Switches like the Belkin Wemo Wireless Light Control Switch allow remote control of any light that is connected to that particular switch. Lights can easily be placed on a schedule, or you can set a “scene,” where all lights on a certain floor are turned on to appear as though people are home. Switches run around $40 a piece, on average. 3. Plug your light fixture into a specially designed socket or adapter, then into the wall, to allow for remote control. The Belkin WeMo Switch is a popular, low-cost option at around $50. Once you have set your lights up, the options are limitless. Set the lamp on your nightstand to go out at 10pm if you have a habit of falling asleep while reading. Turn the garage light on for the dog if you’re working late, or have outdoor lights shining brightly when you arrive home after dark. It sounds too good to be true, but we assure you, it’s not! Talk to your licensed electrician about the best options for your needs and budget. You’ll be in control in no time.